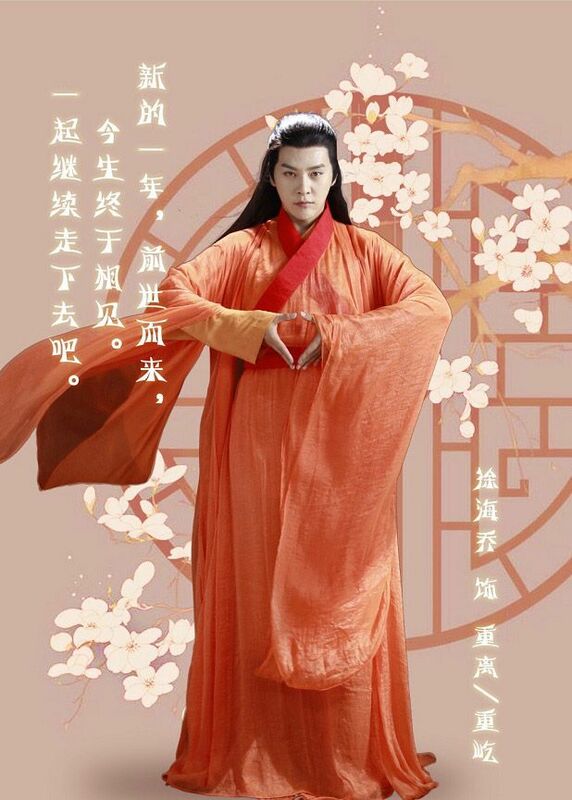 =======> ♦ More promotional materials for Love & Life & Lie with Chen Xiao and Zhou Dong Yu. To air 1/4/17. 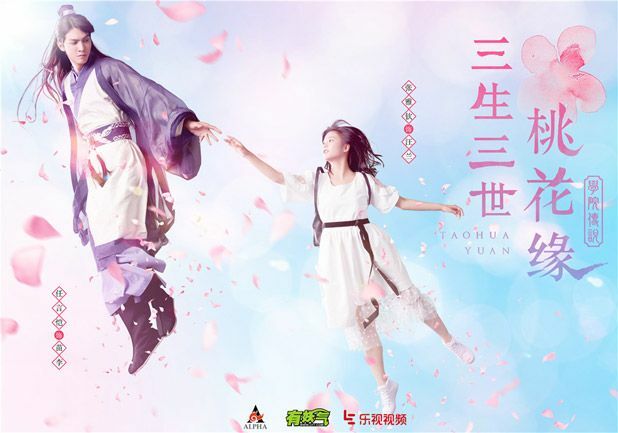 =======> ♦ Joe Xu Hai Qiao and Viann Zhang in a fantasy webdrama, Kun Lun Que Zhi Qian Jin Sheng (昆仑阙之前世今生). 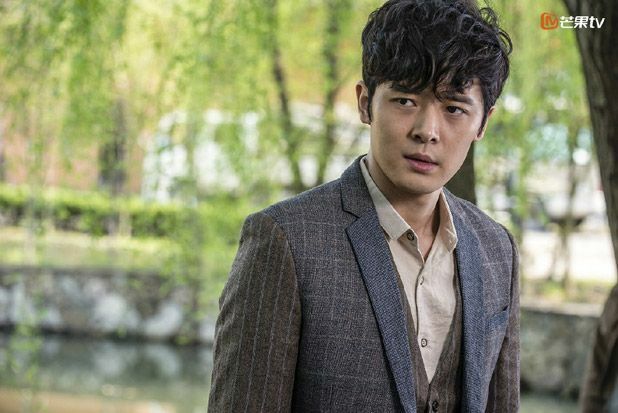 Baidu synopsis really didn’t help but from the trailer it looks like Joe doesn’t want to follow the rules of life and death… It airs on January 12th. 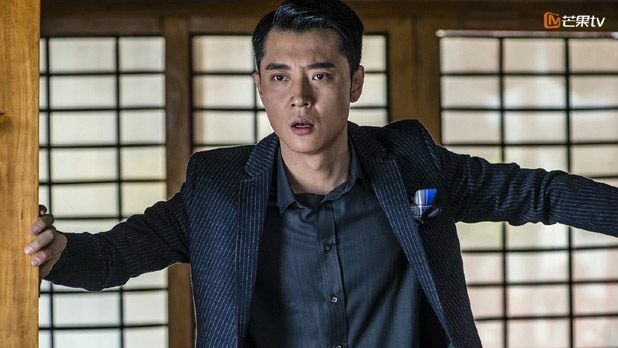 He has 2 series out in January. 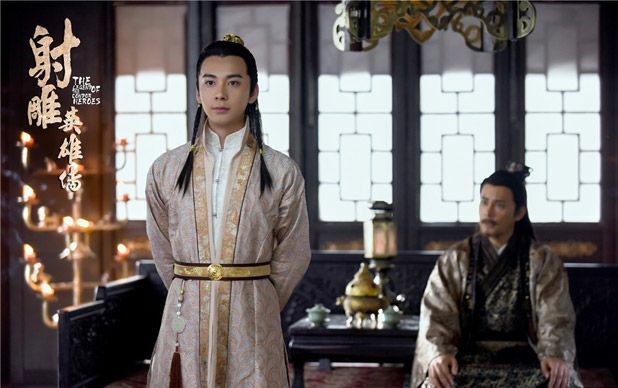 Please refer to the Master Post for the other dramas. Joe going the Ma-Ke-free-flowing-hair way. 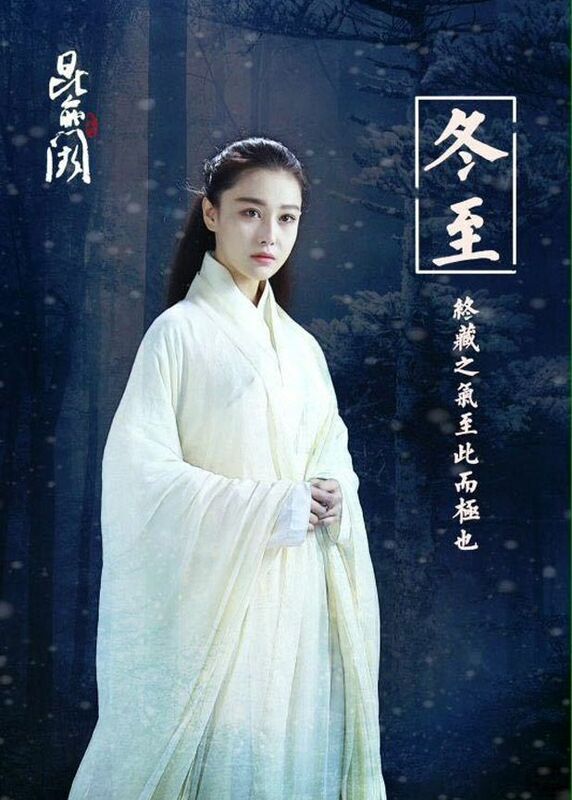 Viann Zhang looking pretty as well. 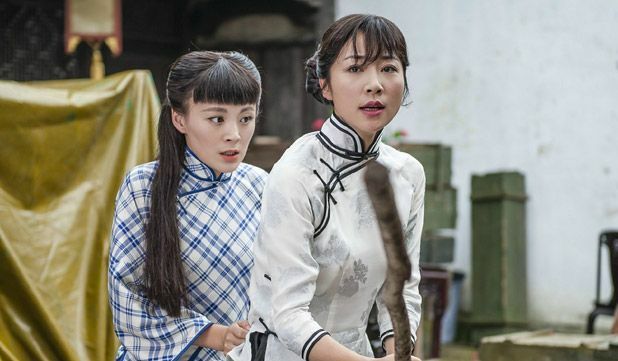 =======> ♦ War Flowers (乱世丽人行) is period drama set during the Anti-Japanese movement, following our framed heroine (Han Xue) who is forced to marry into a rich household and her entanglements with the people in the said family. It premiered on January 2nd. 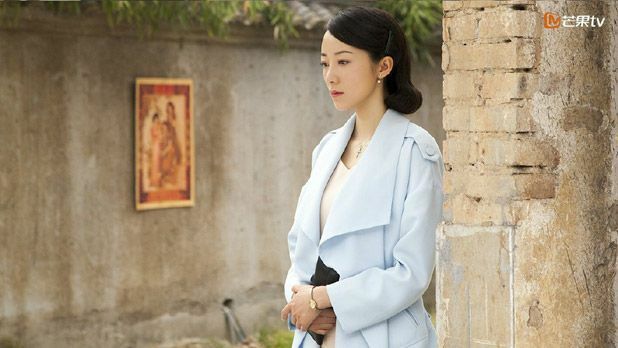 Fu Xin Bo plays a patriotic teacher who has a love line with our heroine and her stepdaughter (played by Mao Lin Lin). 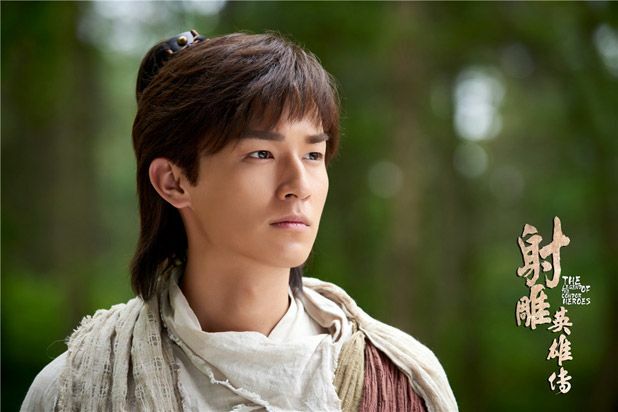 Zhang Dan Feng plays the heroine’s stepson and he walks between the line of evil and good. 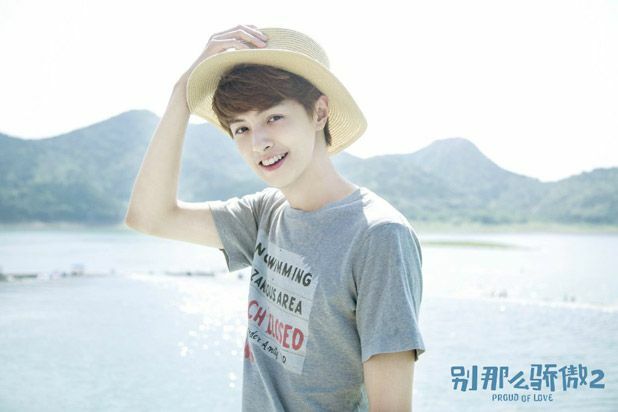 Mao Lin Lin. 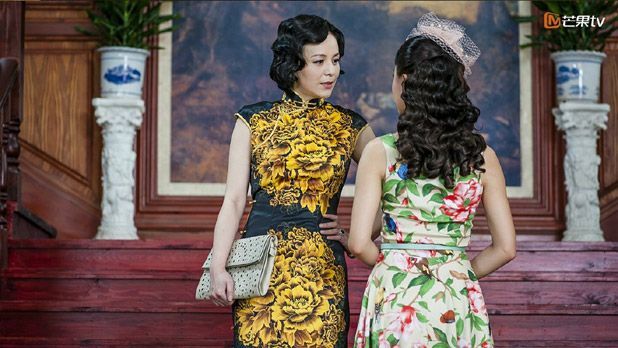 The mother and “stepdaughter” eventually become a pair of sisters as they go through life and death together. LOL. This picture cracks me up! 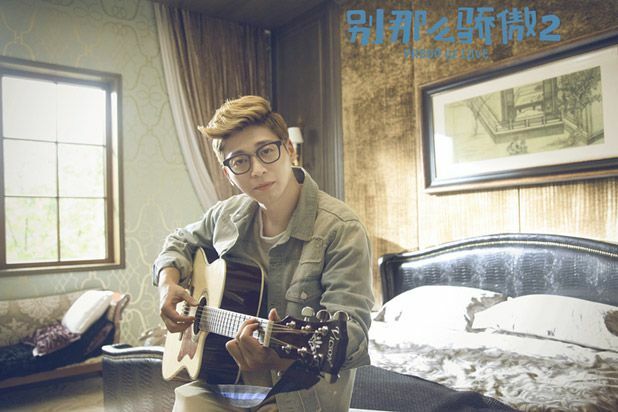 Fu Xin Bo. 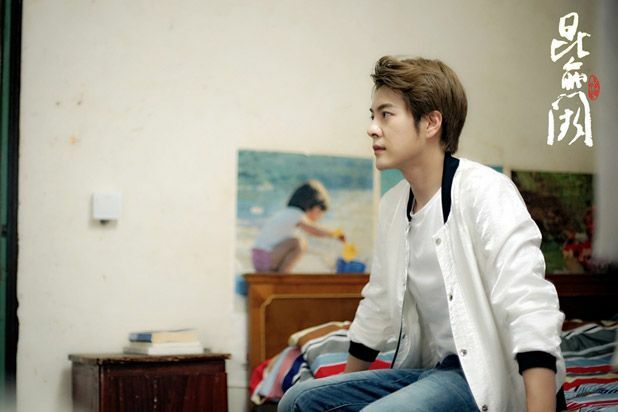 His hair is so cute. 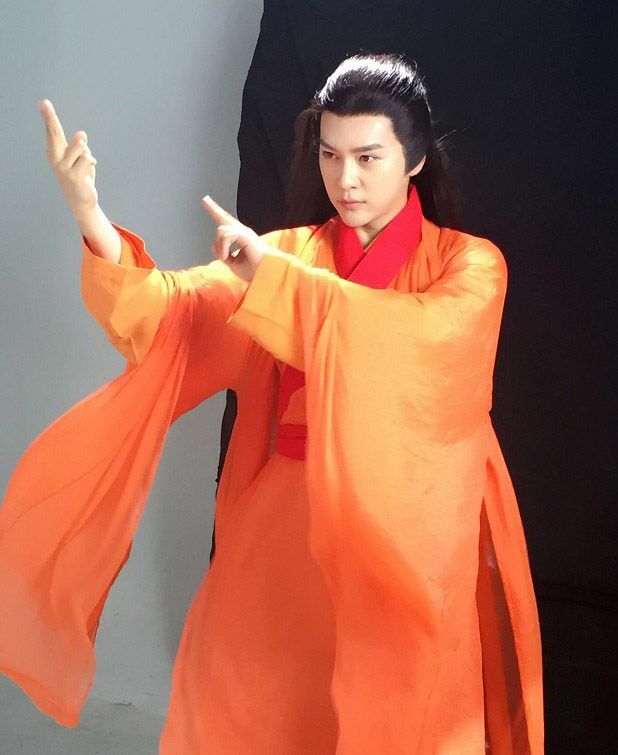 =======> ♦ More stills released for The Legend of the Condor Heroes 2017. 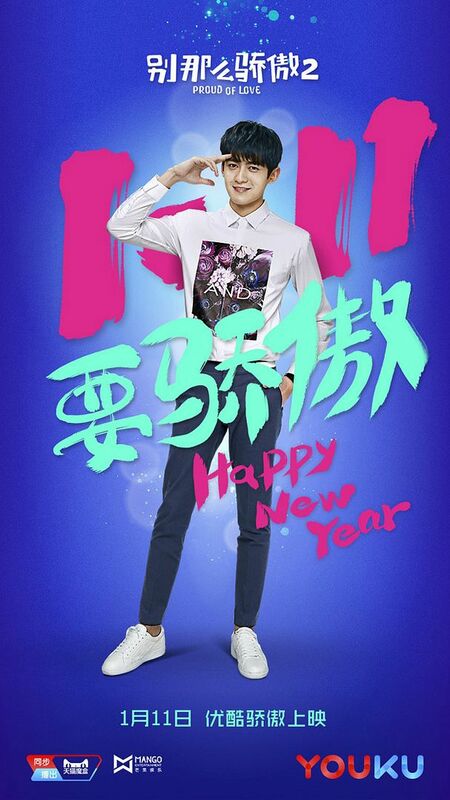 It will air on Dragon TV on January 9th. Also, since Lenje asked the question in the cbox, I will also address it here. 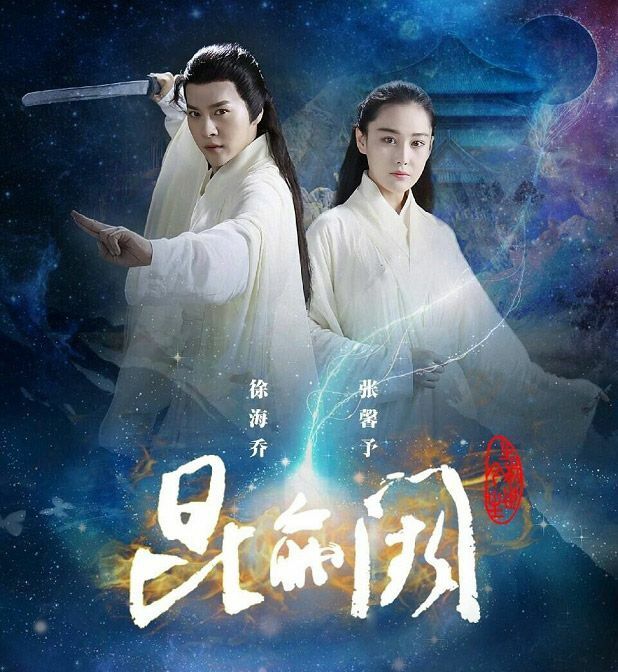 Candle In The Tomb with Jin Dong and Chen Qiao En is a webdrama that airs on QQ every Monday. 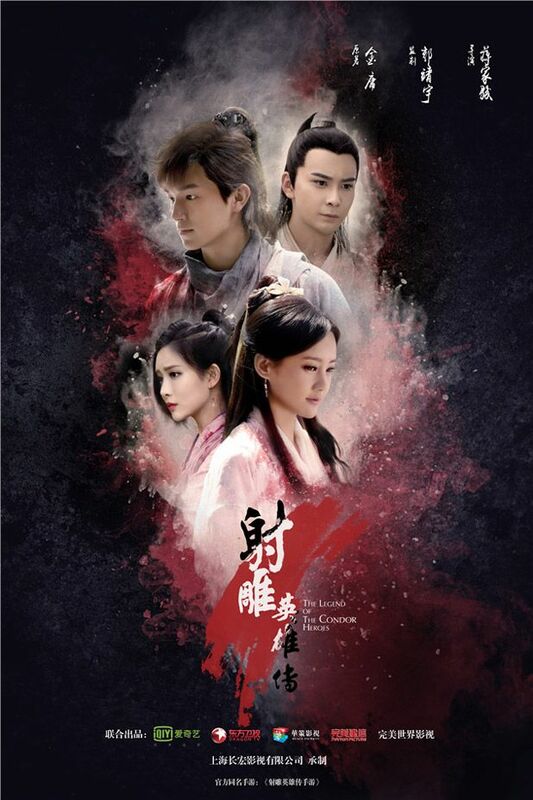 Dragon TV originally wanted to air it on TV but it never got approved so the TV slot is given to Condor. Candle will still air normally online. 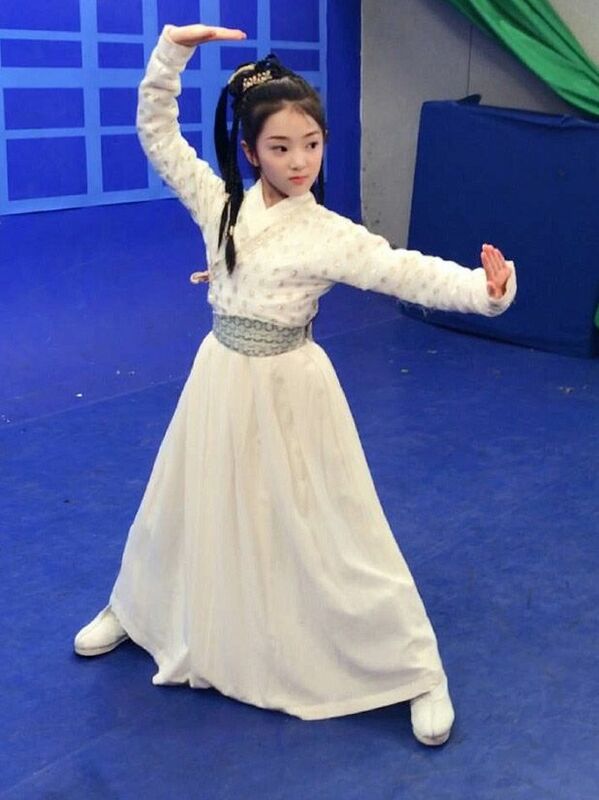 Litte Huang Rong is played by Tao Yi Xi. Awwwwwwww! 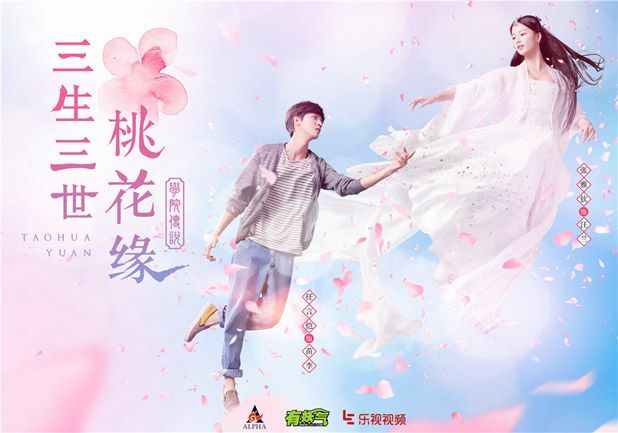 =======> ♦ Proud Of Love (Don’t Be So Proud) Season 2 will begin airing on January 11th with the same cast in Tong Meng Shi and Vivian Sung. 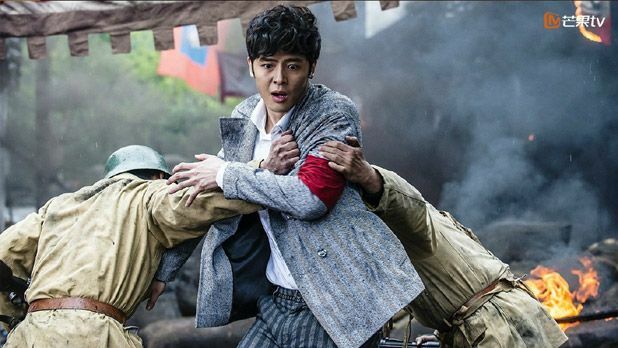 More posters and stills below. 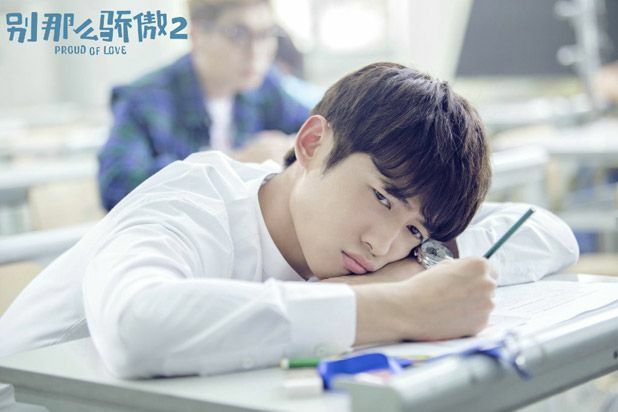 =======> ♦ Webdrama Three Lives Three Worlds Tao Hua Yuan (三生三世桃花缘) starring Ming Ren Yan Kai and Zhang Ya Qin will air on January 26th. I have written about it before here. 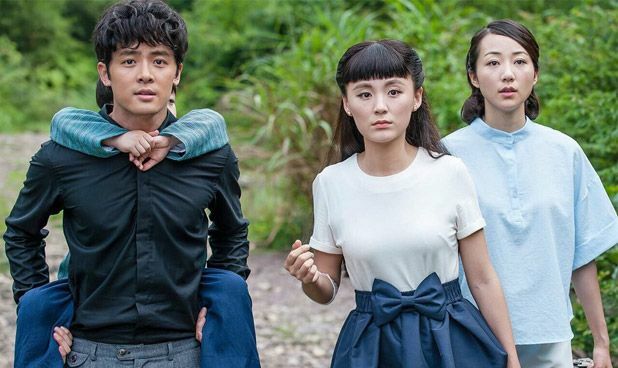 Not to be confused with the other Three Lives productions (Yang Mi’s and Yang Yang’s). 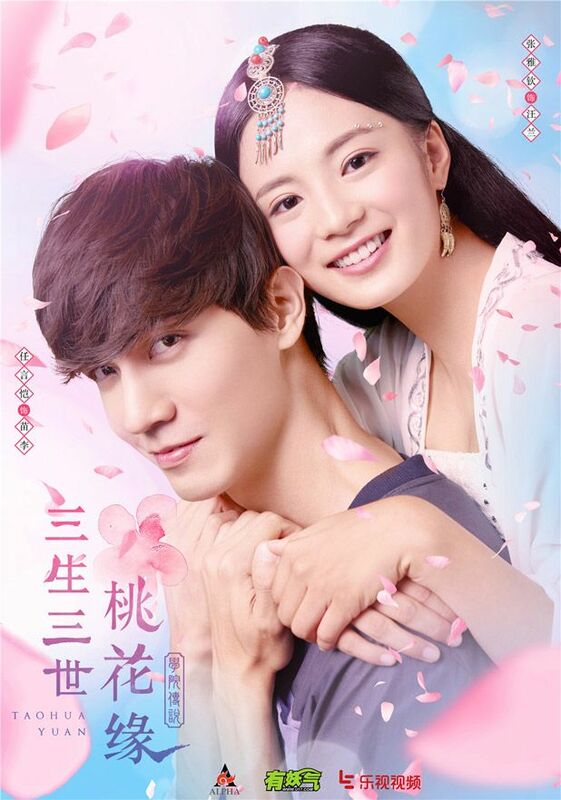 The male looks like Vic Zhou. Lol. 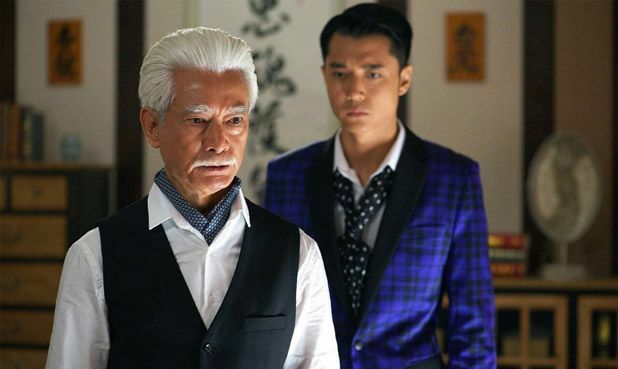 =======> ♦ Evil Minds 2 with Chen Ruo Xuan and Wang Long Zheng has been barred from airing its last episode (25) due to sensitive material determined by Internet Popo. Oh boy. You might as well don’t air the series at all! 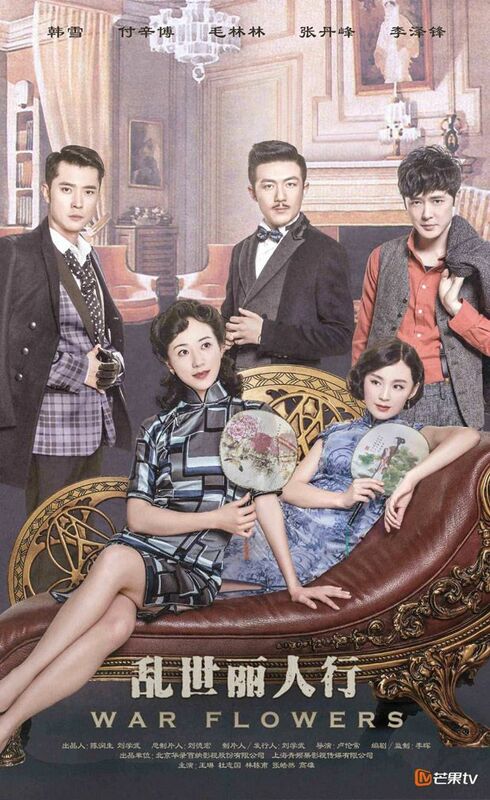 This entry was posted in Entertainment News and tagged Cdrama, Cecilia Han Xue, Chen Xiao, Don't Be So Proud, Evil Minds 2, Fu Xin Bo, Joe Xu Hai Qiao, Kun Lun Que Zhi Qian Jin Sheng, Li Yi Tong, Love & Life & Lie, Mao Lin Lin, Ming Ren Yan Kai, Novel Adaptations, Proud of Love Season 2, Remakes, Tao Yi Xi, The Legend of the Condor Heroes 2017, Three Lives Three Worlds Tao Hua Yuan, Tong Meng Shi, Viann Zhang Xin Yu, Vivian Sung Yun Hua, War Flowers, Webdrama, William Yang Xu Wen, Zhang Dan Feng, Zhang Ya Qin, Zhou Dong Yu by Kappy. Bookmark the permalink. Thanks for putting this together, Kap! 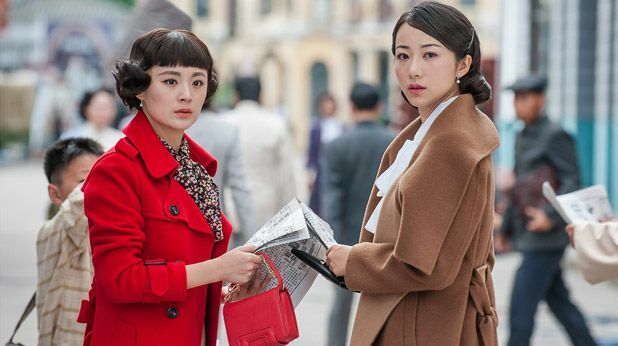 I can’t wait to check out Zhou Dongyu in Love & Life & Lie and also Joe and Viann’s drama. 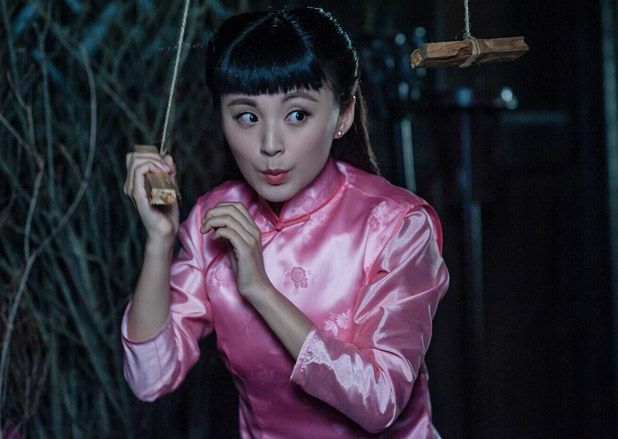 Despite her reputation, I find Viann to be a decent actress and she’s pretty. Had no idea they even worked together on this. Same about Viann. 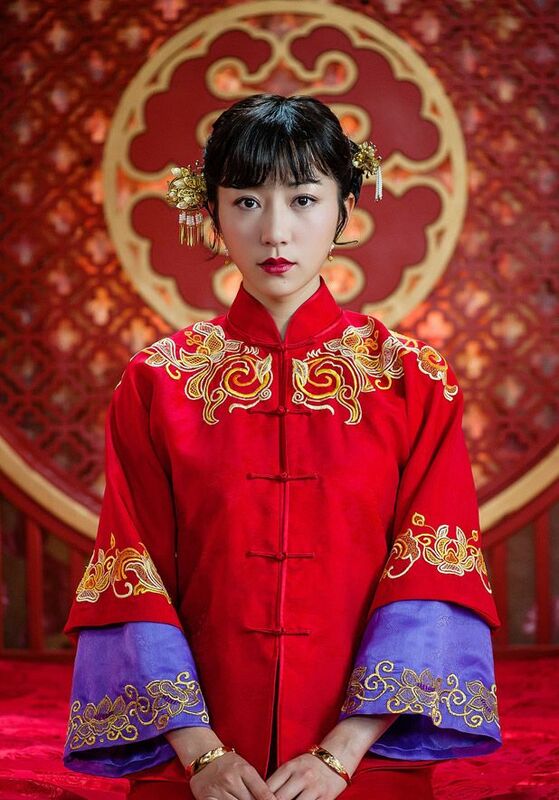 I don’t bother to keep up with her “scandals” and such, and I don’t even necessarily like the productions she’s in, but I always think she’s a very decent actress: believable, varied, and can pull off “innocent and sweet” and fiery and/or evil with the same flare. Like, I hated the 2014 (?) 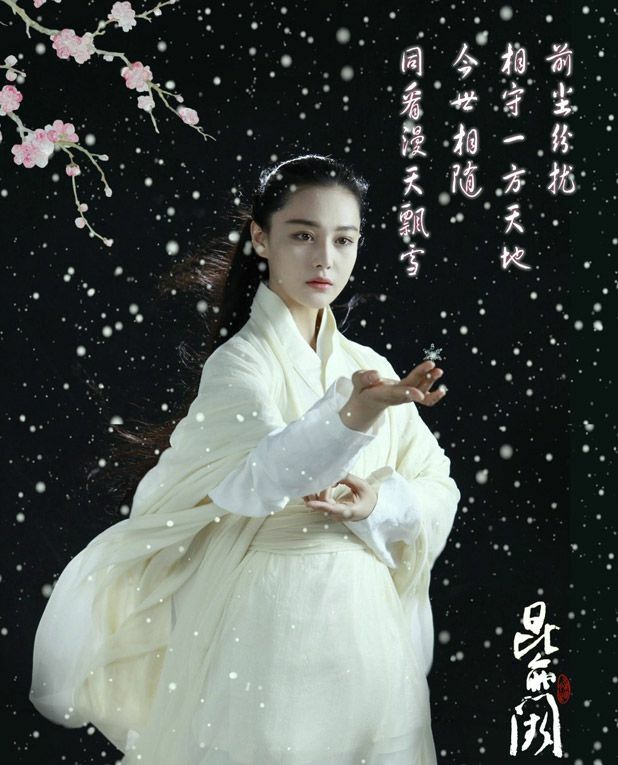 Romance of the Condor Heroes, but Viann was soo good as the evil sect-sister (at least, what I saw of her…didn’t end up watching much of that). Not completely but she had minor PS. I really dont think much of her personal reputation. But she is beautiful and she can act. Not the best but decent. Speaking of Viann, can anyone tell me why she has such a bad reputation. 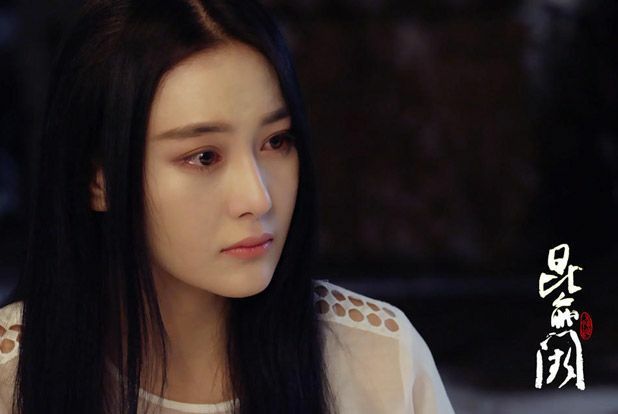 Every time I see posts about her dramas most people (not only here, on every site I can read) start or finish their posts with something about her reputation, usually negative? What made her so notorious? 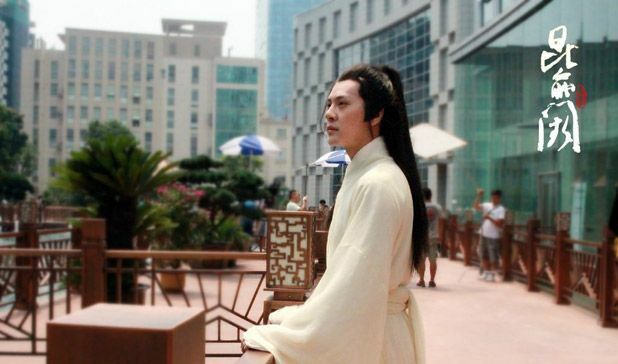 All my searches can digg up is some whining on weibo about past boyfriends. I really can’t understand. P.S. for the record, I like her. 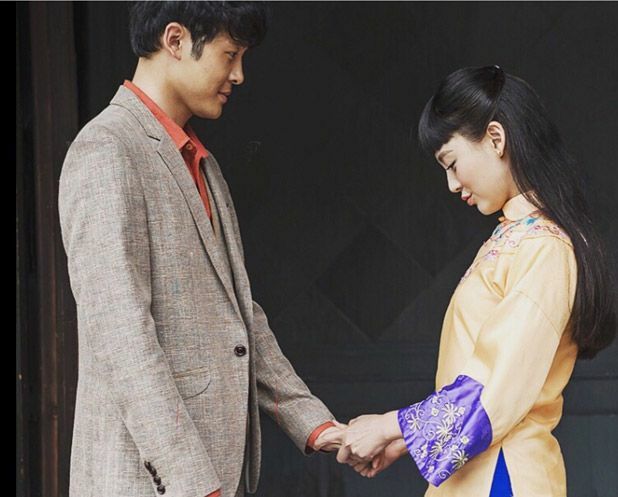 @nell, she dated hk star ron ng and mainland star li chen (fan bing bing’s current BF) and each time she tends to reveal private details about their life (very liberal in her criticisms). she said dating ron was the worst. LOL. so the press and the public mostly know her for being a chitty-chitty -chat chat girl. lol. haven’t seen her on shows so don’t know much about her personality. 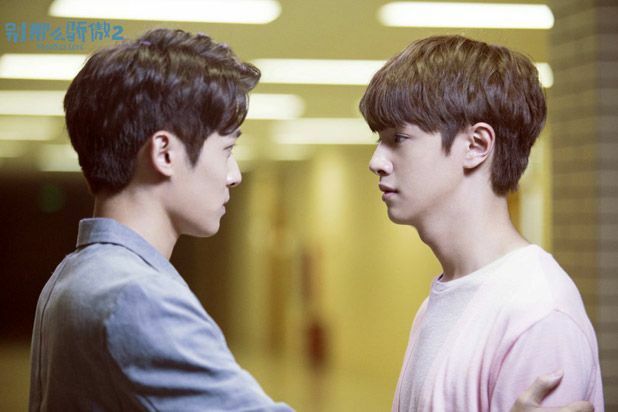 I don’t quite get what’s going on in Joe and Viann’s drama, but it looks promising! Is he supposed to be time traveling or something? Yep, time-traveling! It’s a no-no but he doesn’t care! Lol. I’ll probably check it out. Quite a few pretty girls, it might be a waste to skip entirely. haha, true. 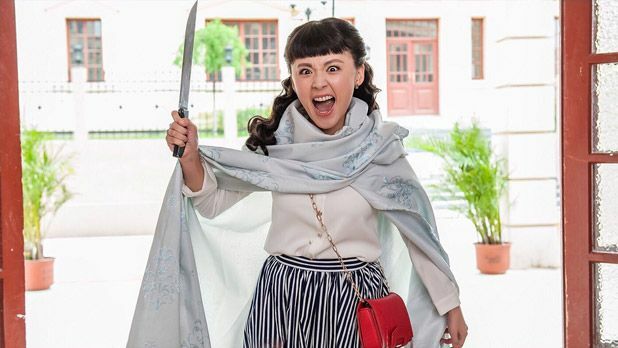 lakorn has a lot of those scenes. but i dont think this love-life-lie has slap/kiss 😀 lol.. seriously lol when i read your comment. 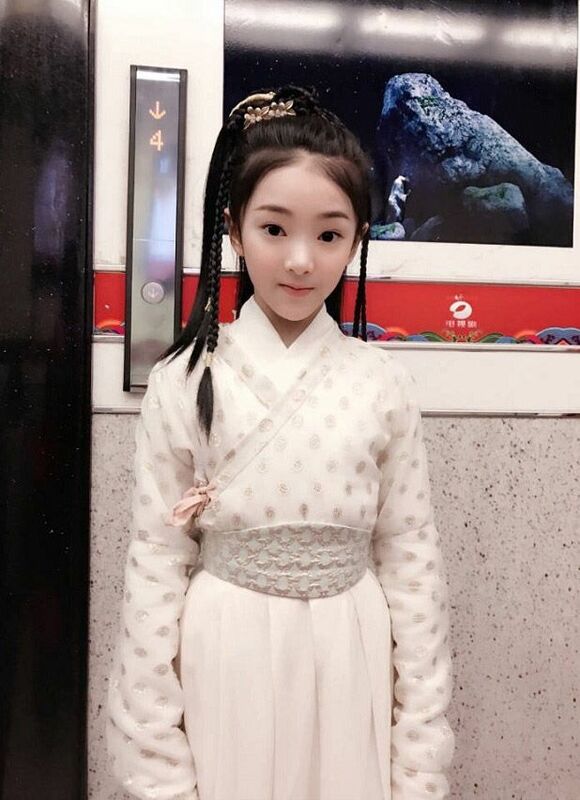 Little Huang Rong: Tao Yi Xi looks like a real porcelain doll in this photos above. Rather unreal for me…..
Hello Kappy, so many airing soon. What a nice way to begin the new year. I like Viann since ROCH but I have never followed her other movies. Her act is more believable than others and she is pretty. She kind of remind me of FBB. 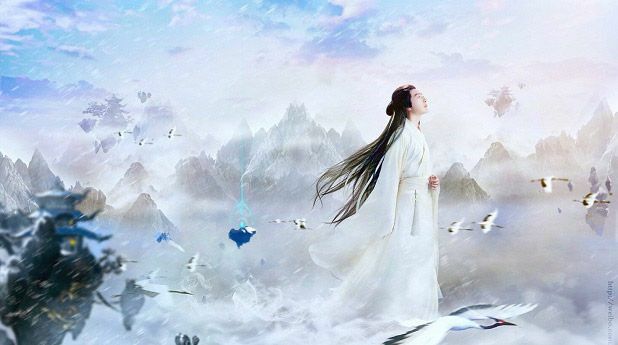 I would like to give a try to LOCH for our “Qinlong ge ge”. 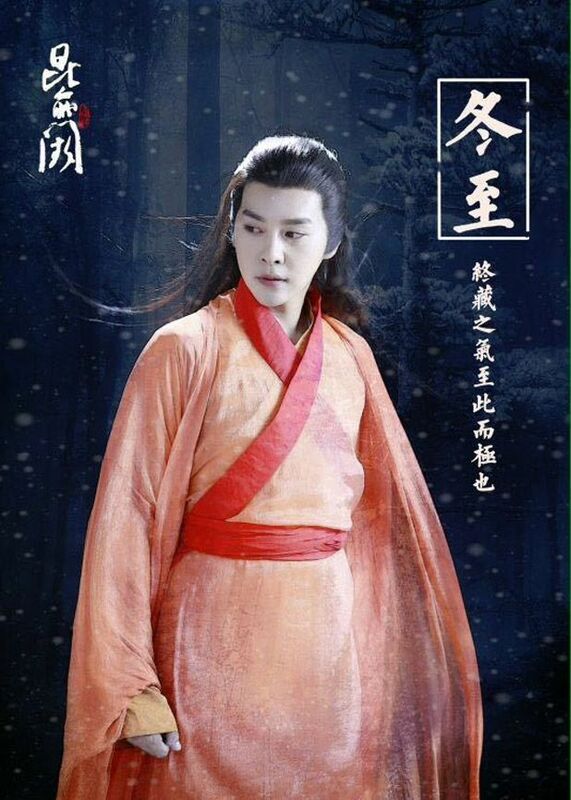 Somehow I am less convinced by this verison of Yang Kang. In previous remakes, YK has always been pretty good looking. Anyway thanks for the upload. Truly appreciate it. Hi. I have been one of those quiet readers since awhile back. Would just like to pop up and say thank you for your hard work. 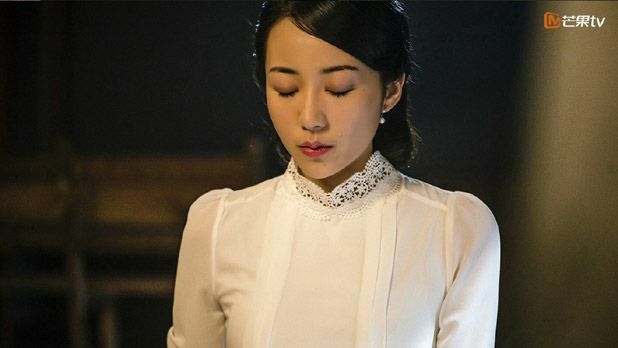 I love watching chinese shows however i had difficulty in finding updates of them in an english site and i can’t read chinese. This site has been awesome in keeping with the latest and as many updates as possible. 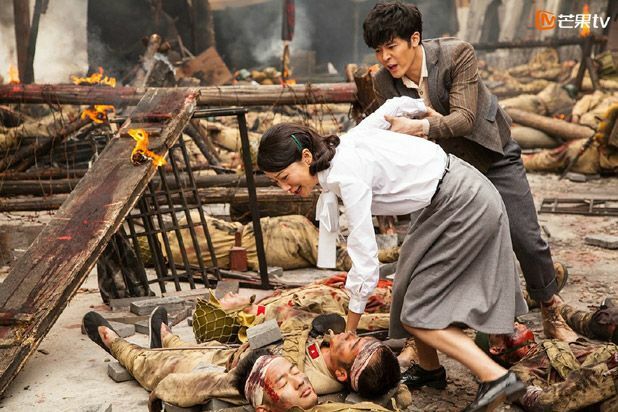 Only God knows how many Chinese shows that has been churn out. The comments also has been done in a mature way when there are disagreement if there are likes or dislikes of a particular post. Keep up the good work everyone!!! !